Dr. Ofer Cherbinsky received his Doctor of Veterinary Medicine from Koret School of Veterinary Medicine at the Hebrew University of Jerusalem in 2001. 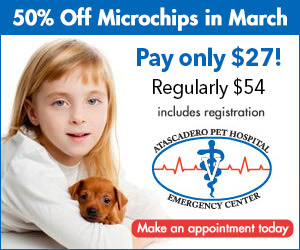 In 2003, he joined the Atascadero Pet Hospital & Emergency Center bringing his interest in diagnostic imaging, which has helped us make great advancements using our digital x-ray equipment, ultrasound machine, our new MRI machine, and hopefully soon, a CT scan machine. 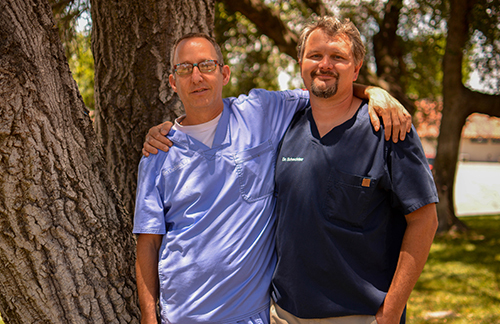 In January 2008 he extended his responsibilities to include practice owner alongside Dr. Aaron Schechter. Also in 2008, he completed a Small Animal Abdominal Ultrasound Fellowship at UC Davis. He and his wife, Tami, were married in 2000 and have four children. Very family oriented, they came to our country in order to be closer to family who were already here. They enjoy planning family outings and spending time together with their children.